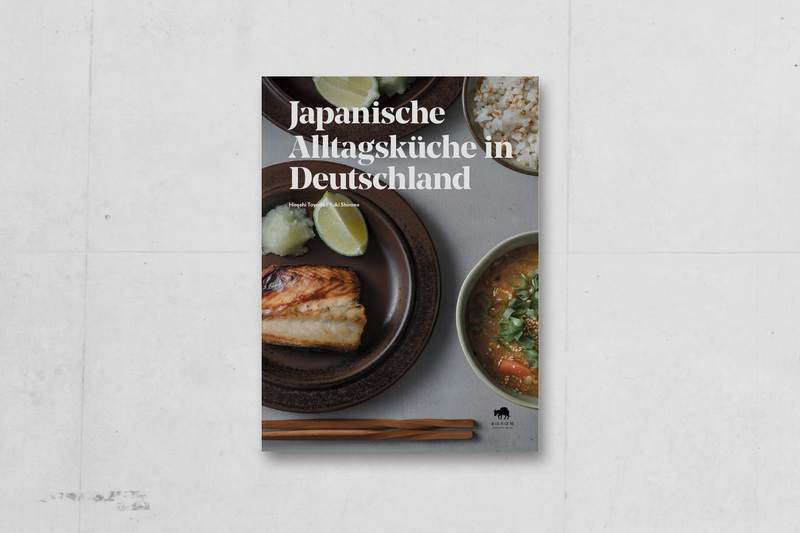 Editorial Design for the German version of the Japanese home cooking book by Mahoroba Publishing. 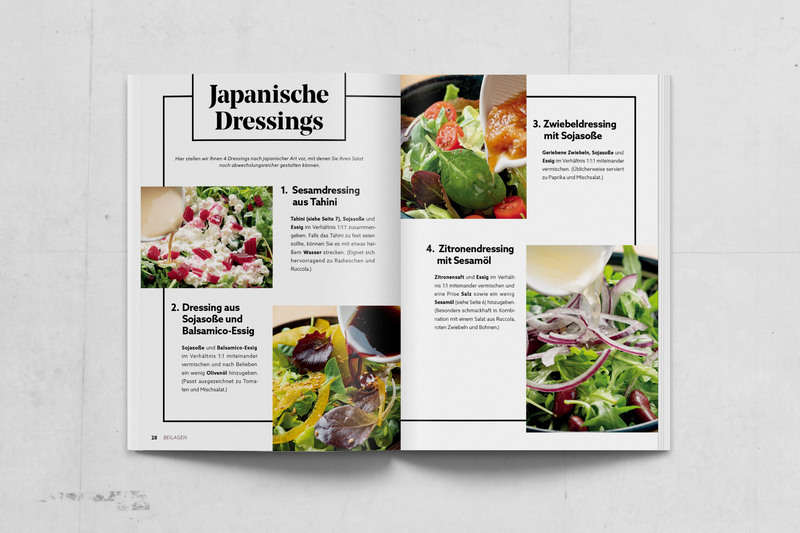 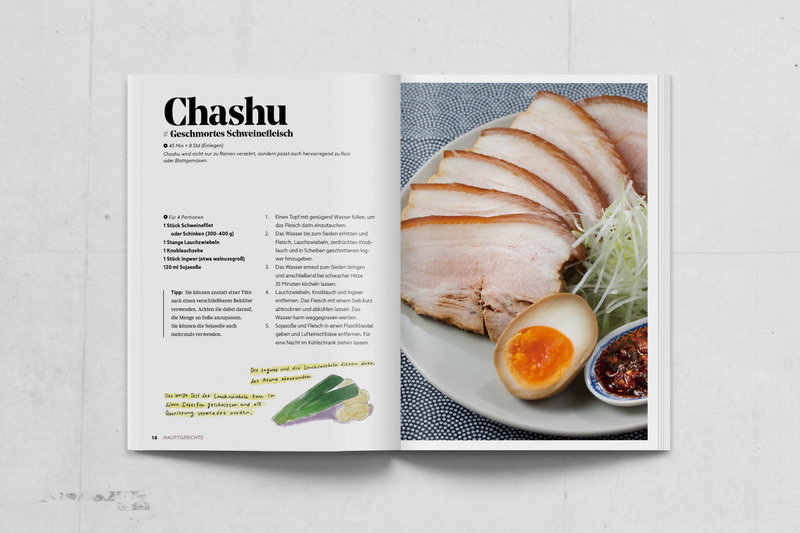 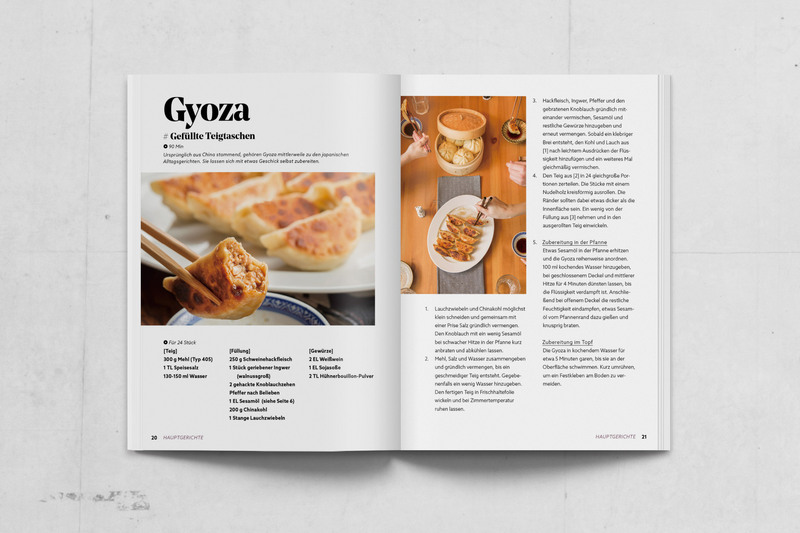 The book contains a wide variety of recipes with ingredients that are accessible for people who live in Germany, which makes it incredibly easy for readers to create a real Japanese dish at home. 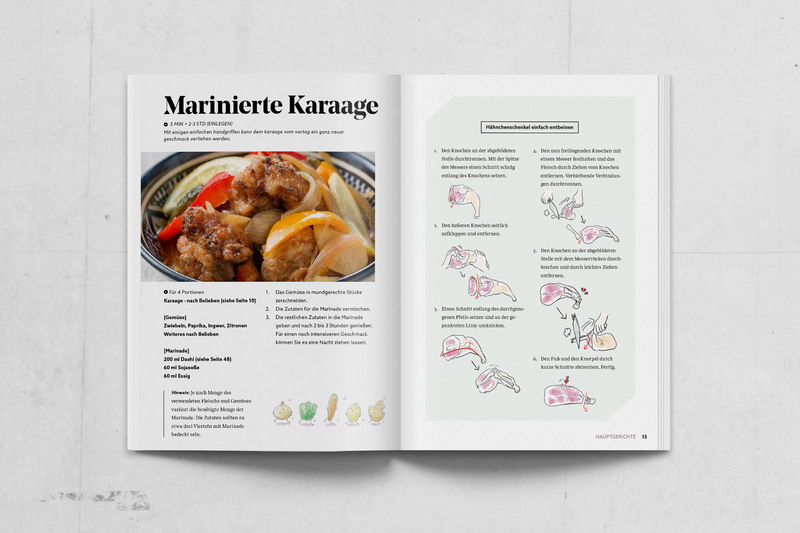 The entire book is written in German and we wanted the cookbook to be image oriented so even if the readers have never tried the dish, it would be easy enough to create one. 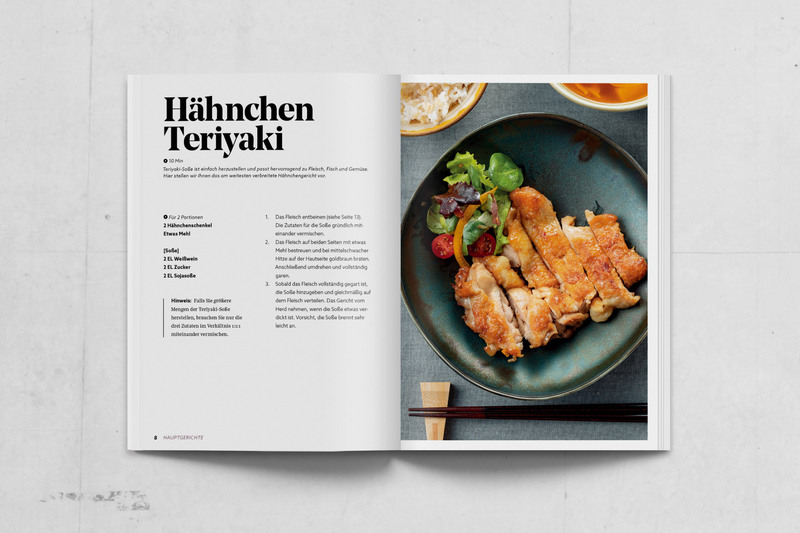 We specifically picked those typefaces design by German type designers to bring the collaboration of cultures to represent the heart of this book.